Meet Aubree & Wade! 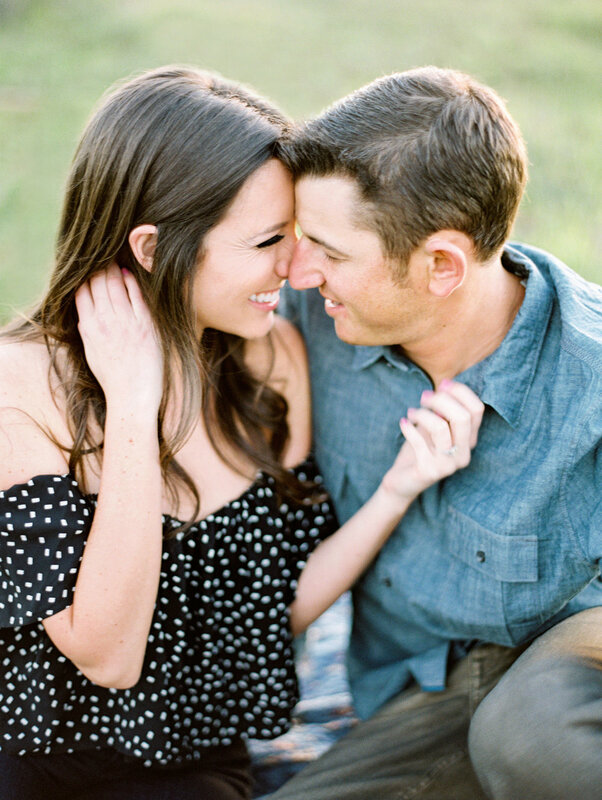 We just adore these two and had so much fun getting to know them during their engagement session. 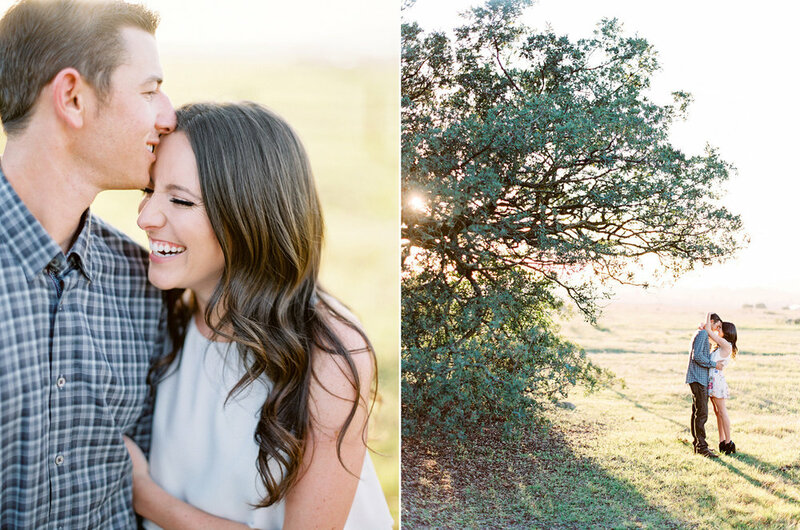 This beautiful reserve backs up to their soon-to-be home together and it couldn't have been more perfect! We really lucked out with such beautiful light and lots of greenery from the Spring rain. 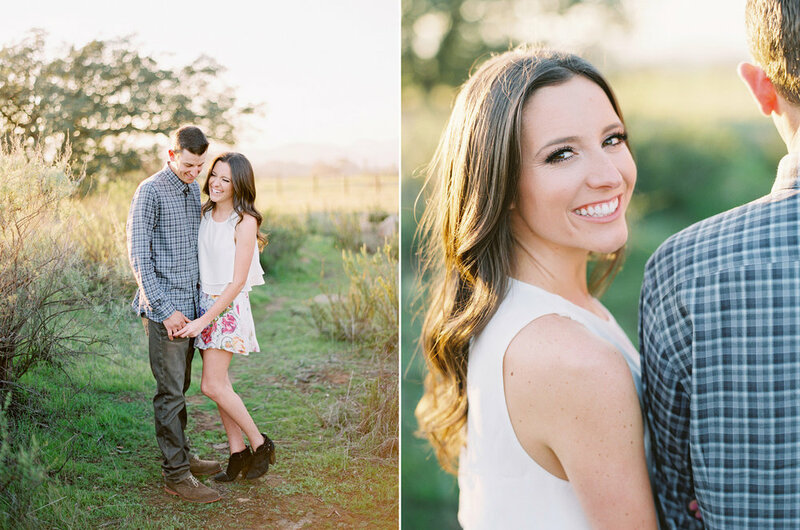 Couldn't be more thrilled to be shooting their wedding this April at Sacred Mountain, a private ranch in Julian, California with Aster & Park Events and 618 Studios. 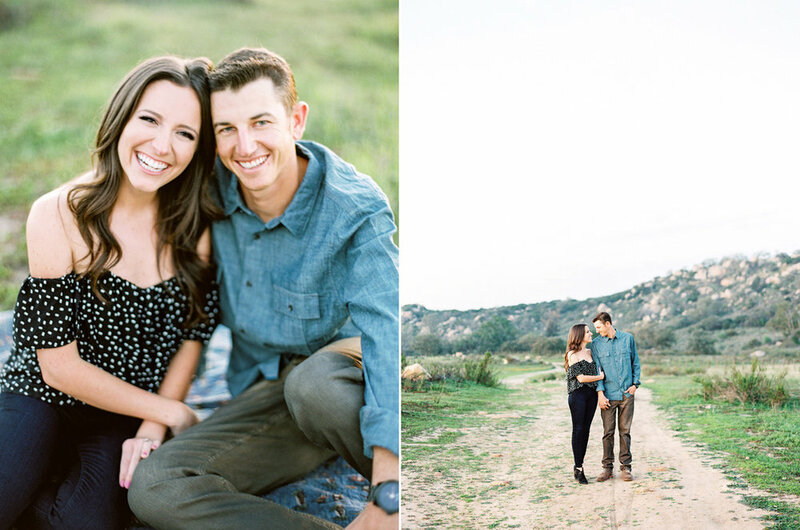 We photographed Carly and Nick's engagement session near her family's beach house in Del Mar, California. The playful energy and love between these two was contagious! We are so looking forward to shooting them again when they become husband and wife this summer with Before I do Events! 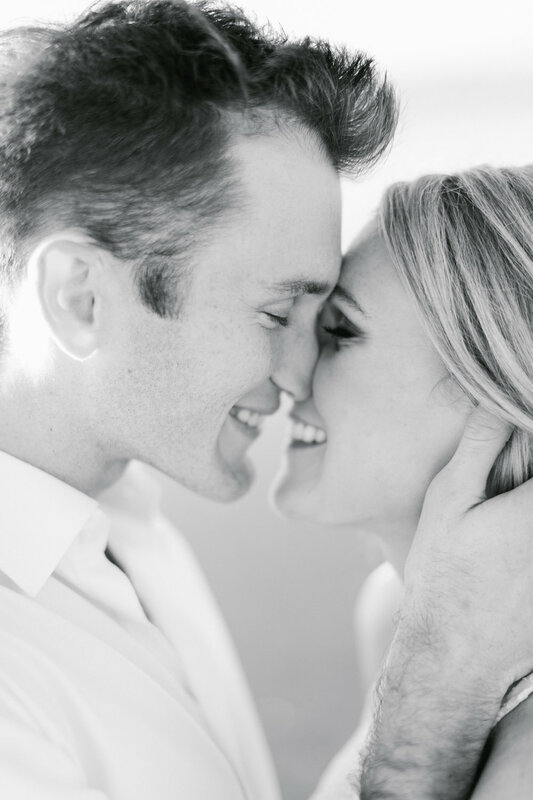 These two have such a natural chemistry together and were so fun to photograph. We are counting down the days until we photograph Katie and Chase's wedding next June planned by the talented Intertwined Events! It's going to be stunning! 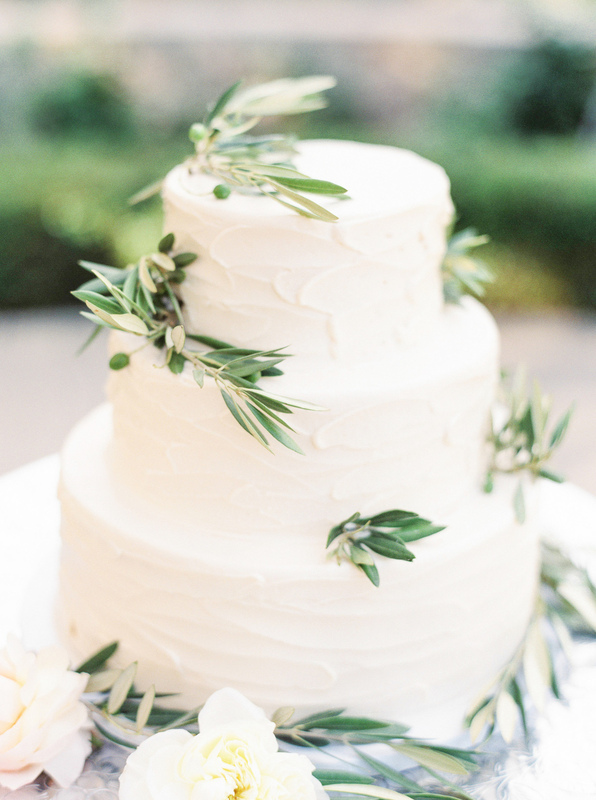 Enjoy some of our favorite images from their session captured on medium format film.